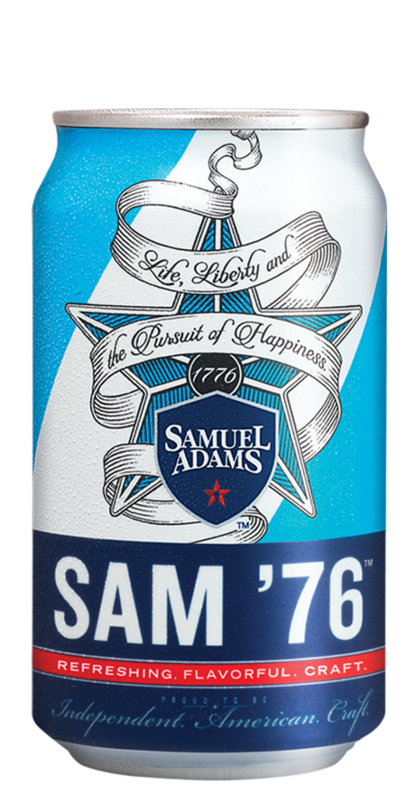 Sam ’76 is a revolutionary new beer that is an unmatched combination of refreshment, craft flavor, and aroma. By experimenting with both lager and ale yeast strains, our brewers developed a unique brewing process that takes two active fermentations and blends them together to create a deliciously harmonious result. This process delivers a distinct flavor that showcases the slight fruitiness of an ale with the balanced drinkability and smoothness of a lager, and at just 4.7% ABV this brew is perfect for sessionable occasions.